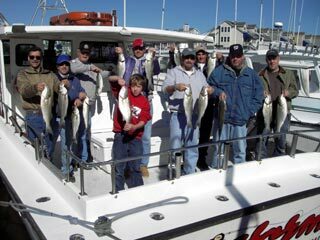 The Phil Towers crew from October 30 with a good batch of small rockfish. 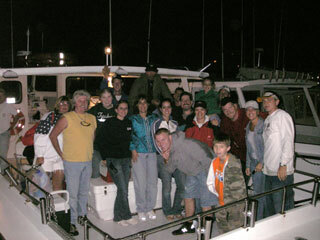 A crew from the Trizec Company after a fine day on the Bay October 28. 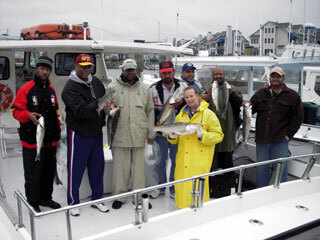 The Ed Smith (4th from right) with a fine catch of small rockfish on October 23 aboard the Worm. 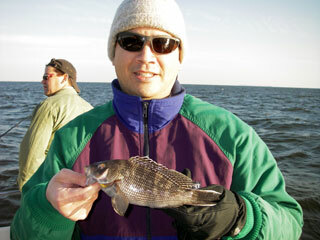 A small black sea bass, which was released after the photo. 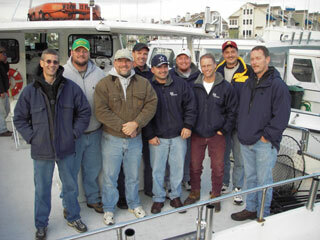 The Neal Pitts crew from October 21. 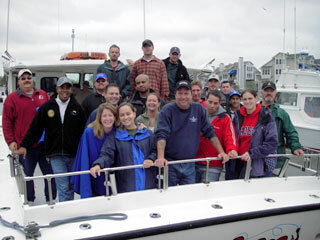 A crew from Lavelle & Associates, out for an afternoon of catching rockfish on October 15. 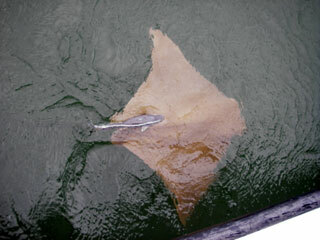 Pulte Homes returned to the Rod -N- Reel once again, chartering most of the fleet on October 14. 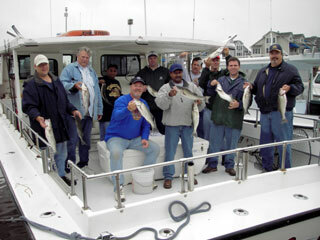 This bunch of happy anglers had a blast on the Worm. 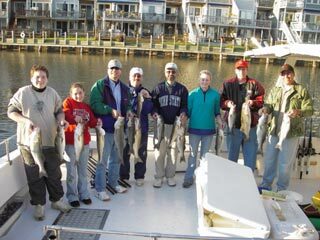 Chuck Horton (3rd from left, seated) led a crew from Mercantile Bank & Trust to catch a bunch of rockfish while chumming on October 13. 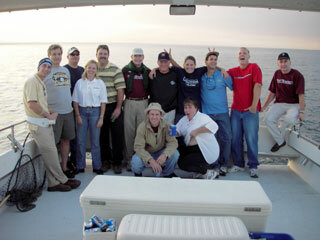 A crew from Toll Brothers, out for a day on the Chesapeake on October 5.